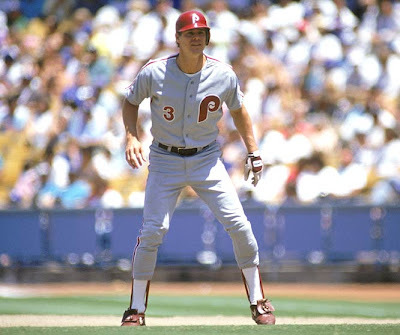 Eighteen years ago on August 4, 1990, the Atlanta Braves traded the ever popular Dale Murphy to the Philadelphia Phillies for three players. "The Murph", a seven time All-Star, never did look right in a Phillies uniform! He finished his career with 398 homers, and was a two-time National League MVP. I sure wish he could have hit just two more 'dingers' to reach that 400 mark. I believe that accomplishment would have him in the Hall of Fame already. He's long overdue!